In order to meet our guests' needs who wish not only to spend nicely time but also to use rehabilitation or biological regeneration offer. 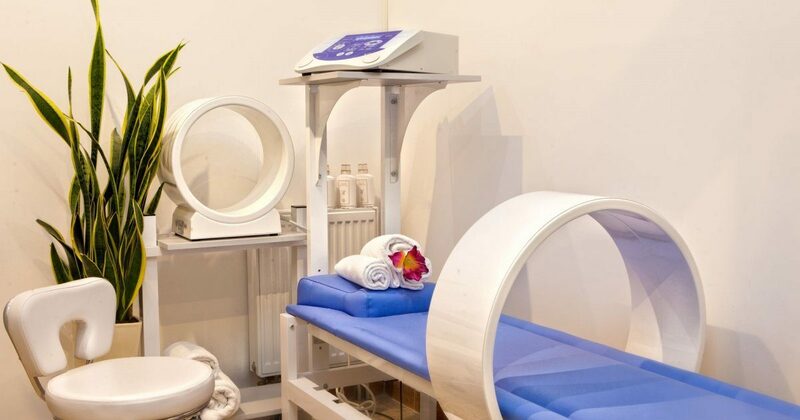 You may choose from a variety of physiotherapy offer: infrared and visible radiation (Sollux), cryotherapy, laser, electrotherapy, magnetotherapy, ultrasonotherpay as well as pressotherapy. We possess bathtubs specially designed for whirlpool baths and underwater massage. Emitting infrared and visible radiation which prevents pain and inflammation. It helps cure pain, back pain, joint pain, muscle contractures, swellings, muscle and joint inflammation. Curing with current bunch helps relieve muscle joint pain, ensures blood-flow to the cells, accelerates swelling reduction. Using mechanical vibrations with the frequency which exceeds the hearing range of the human being. Ultrasonic wave makes a micro massage. It can be applied in pain syndrome or degenerative diseases. Using a cooling factor (carbon dioxide) with painkilling and anti-inflammatory effect, anti-swelling and reducing muscle tension. It is recommended in degenerative diseases and after injuries. Curing with pulsating magnetic field of low frequency which helps in post-traumatic prophylaxis (stroke, optic atrophy, chronic migraine, arrhythmias, pancreatitis, osteoporosis). Therapeutic laser exposure with wide range of its usage helps cure i.a. trauma, joint inflammatory, post-trauma pain, skin necrosis, sores, frostbite, bedsores, scars, stretch marks, acne, psoriasis, and many more. Usage of warm water with mechanical movement which delivers pleasant massage. Automatic underwater massage: Made in special bathtubs with underwater shower. Recommended in releasing pain, motor organs disorders or peripheral blood circulation. It is a press massage used to cure lymphatic swollen limbs and to improve blood transportation to the cells. The limb is placed in a sleeve filled with compressed air which massages the limb. It can be used in elimination of cellulite, detoxification, prevents varicose veins. It is a thermotherapy which uses values of mud its richness in biochemical compounds with its antibacterial and virucidal properties and anti-inflammatory effect. This treatment is highly recommended in after injury conditions, chronic pain syndromes of spine. Warm bath in a proper solution concentration of iodine and bromine salt. It influences skin condition and mucous membrane and the whole body condition. It is recommended in degenerative disc disease, arthrosis, convalescence, psoriasis, ichthyosis, hypothyroidism, limbs blood circulation disorders. Warm bath enriched with unique bioelement complex. It improves skin nutrition and regeneration. It has antiseptic and refreshing properties. The bath may be additionally enriched with essential oils for aromatherapy value.